Oral surgery is a complex service, which is not offered by many dentists in Dubbo and may require referral to the specialist. However, Dr Mafaz Ullah of Delroy Park Dental Care has completed extensive training and education in oral surgery procedures. This allows us to cater to the unique needs of our patients without sending them to an off-site surgical centre. 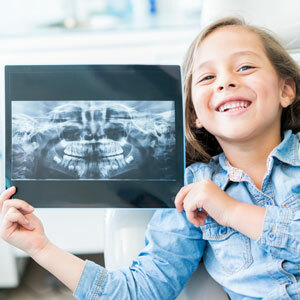 A quick exam and X-ray are all we need to determine whether or not the teeth require a surgical extraction. Most surgical wisdom tooth removal is performed here in our office, something that most Dubbo dentists do not offer. Should we identify abnormal or precancerous tissues during your checkup, a biopsy will be ordered. Biopsies allow us to pinpoint cellular mutations and cancers as early as possible. By doing so, you have a better chance to get effective treatment and recover from oral cancer. Impacted or difficult-to-remove teeth have the potential to make your dental care very complicated. Fortunately, our team have the skills and training required to gently provide treatment for patients with these needs. We strive to cater to the nervous dental patient who is anxious about completing treatment. Our modern facility allows us to provide high-quality oral surgery without jeopardizing the health or safety of our patients. If you’ve been putting off a biopsy or wisdom tooth removal, we invite you to schedule a consultation at Delroy Park Dental Care. Contact us today!